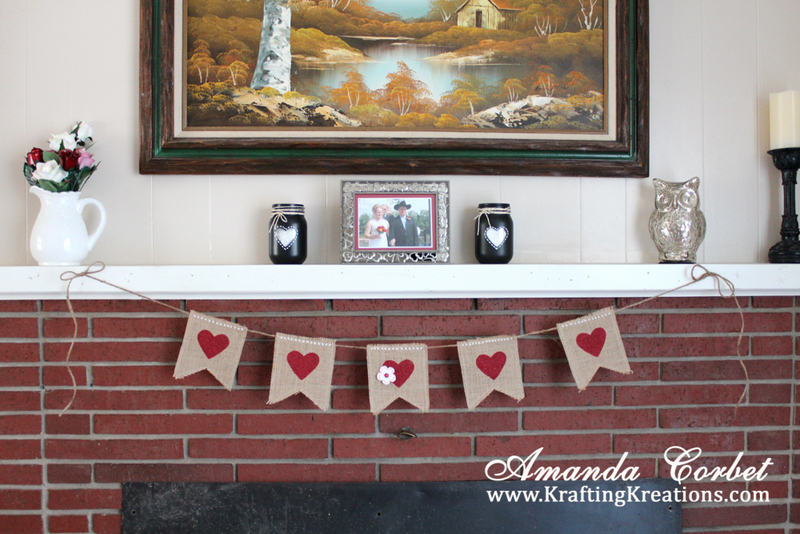 I decided on an impulse that I wanted to make a pretty heart banner for my mantle so I can have some Valentine's Day decor. If you want to get one for yourself or see how it's made then keep on reading! It really was a super easy project and didn't take that long to make. This is not a sponsored post and there are not any affiliate links. 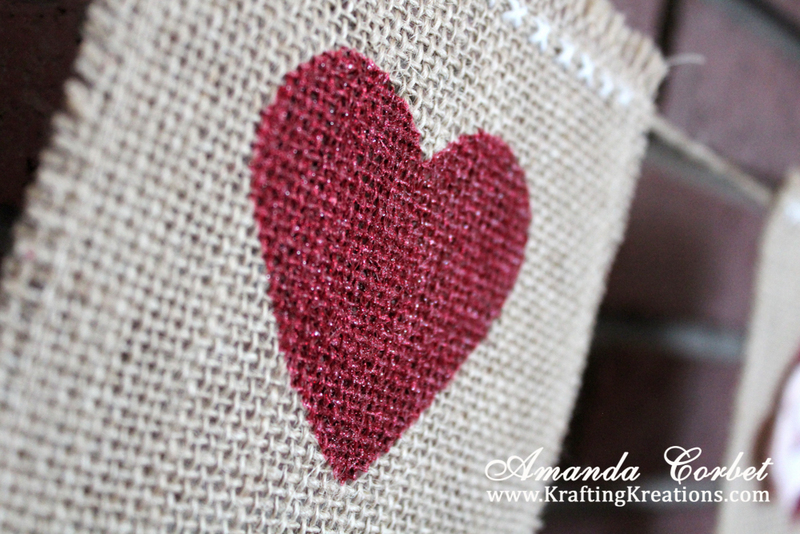 I'm just sharing a fun project and links to some of the supplies so you can have fun making one of your own. 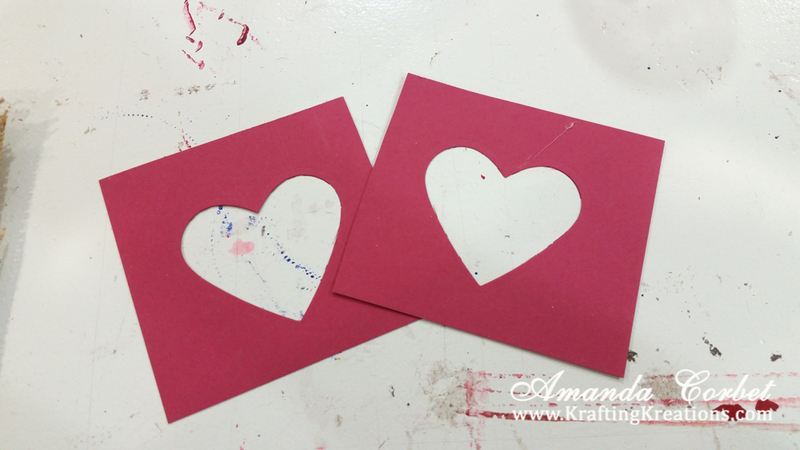 I took some scraps of card stock and used my Hearts Framelits in the Big Shot to cut out a couple stencils. 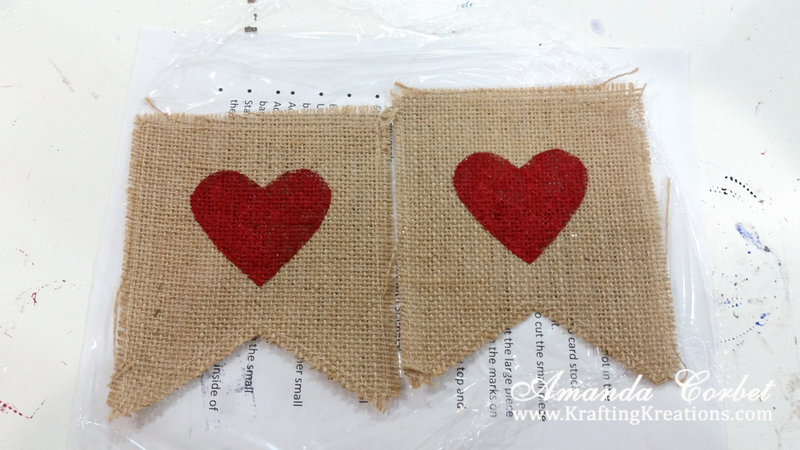 I already had these adorable burlap banners that I bought from Pick Your Plum a while ago. Although I bet you could probably find something similar in a craft store. I placed two banner pieces on a piece of plastic wrap so the paint wouldn't stick to the paper or the table when it dried. 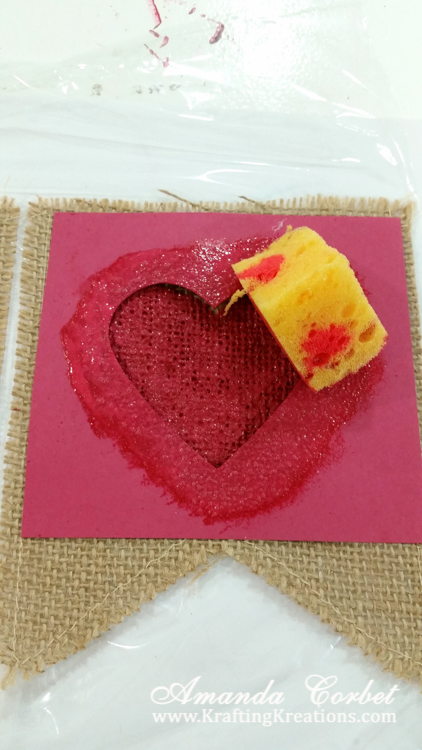 Place your stencil over one banner piece and sponge on some DecoArt Multi-Surface Satin in Dark Scarlet inside your stencil. Let that dry for about 15 minutes and add a second coat of color to make it nice and deep red. Once that layer is completely dry add three coats of Glamour Dust Glitter Paint in Sizzling Red. Allow that to dry completely. 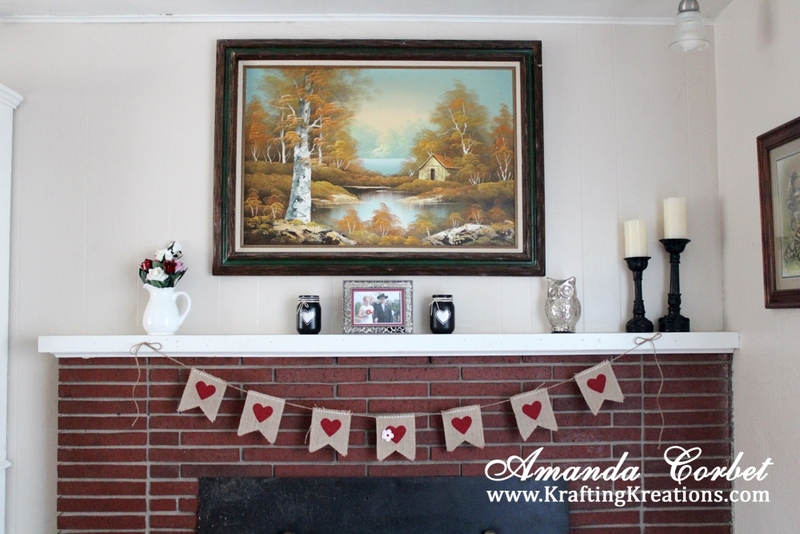 Cut a piece of twine the desired length for your banner. Thread some white baker's twine in a large needle. 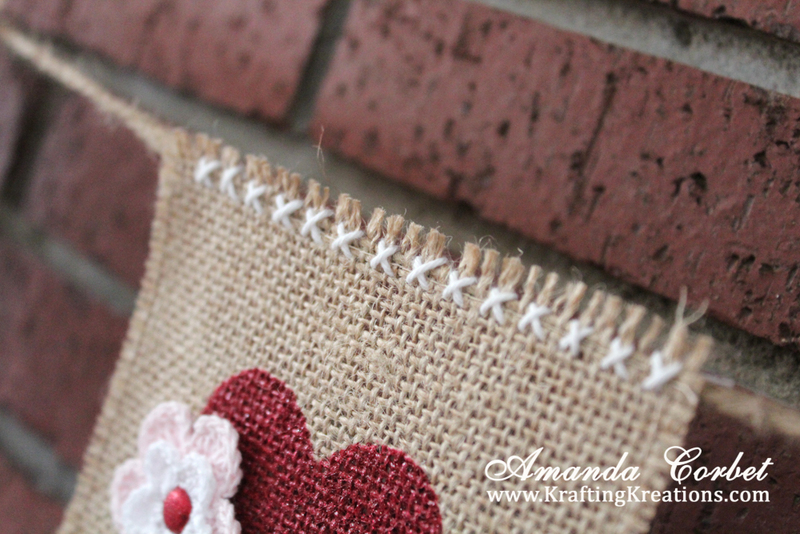 Then cross stitch your banner pieces onto your twine. Tie the ends of your twine into a bow. 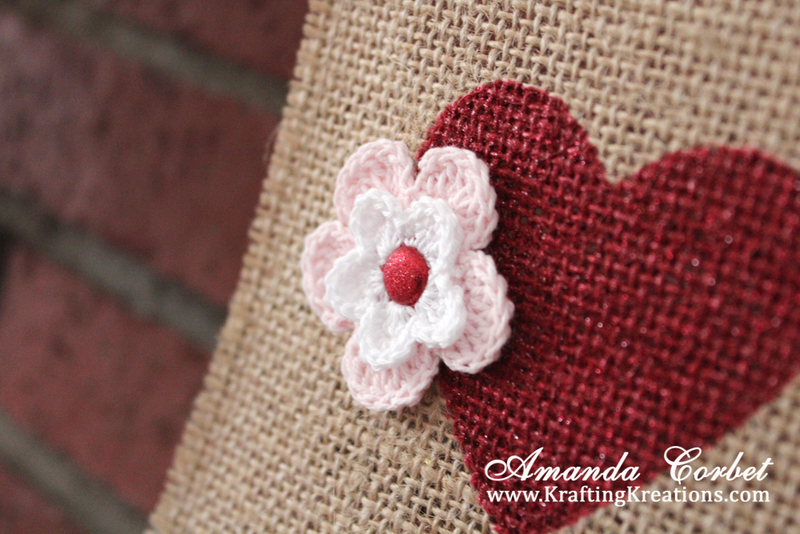 Use a hot glue gun to attach a crocheted flower with a sparkling brad in the center. The crochet flowers are a retired Stampin' Up product, but I bet you could find loads of crochet flower patterns on Pinterest. 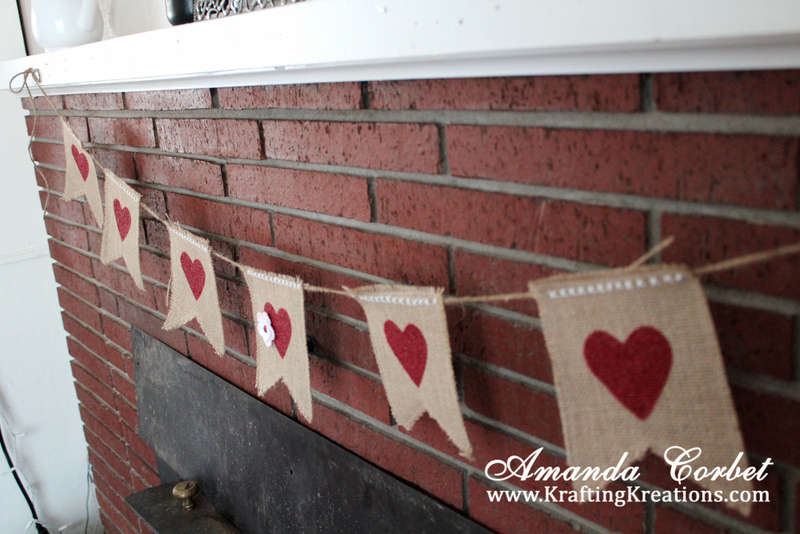 Would you like one of these adorable banners but don't want to have to do the work? I made a second shorter one and it's sitting in my shop right now waiting to head to a new home!